The “Savage Ocean line” of the Shipyard take center stage of the Coupe range. 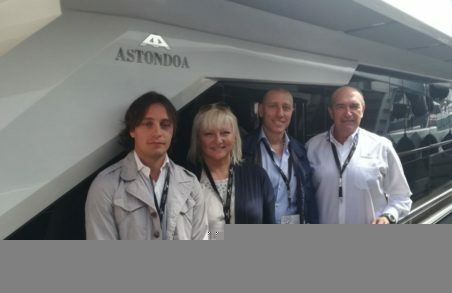 ASTONDOA participates in Palma International Boat Show with two of its latest launches, the 377 Coupé and the new 66 Flybridge, 2019 edition, which are exhibited for the first time in this boat show. 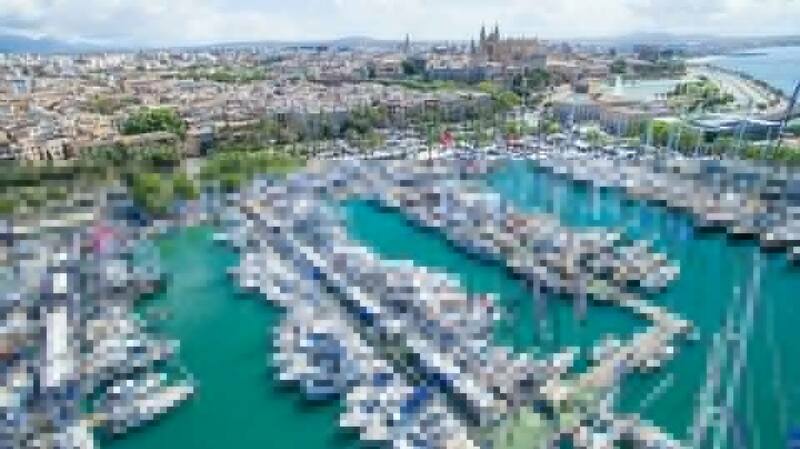 The Shipyard will present to the international public at the Palma Boat Show these two models that made their successful debut at the last edition of Yachting Festival Cannes and that have also crossed the Atlantic participating in the last Miami Yachting Show and West Palm Beach Boat Show. The design of this new model offers attractive innovations, among which its broader saloon windows that giving the boat more natural light and further enhancing its warm and welcoming atmosphere. Another new that has awakened an extraordinary acceptance is the new design of the sofa/ solarium in the cockpit with more capacity and that allows creating a leisure area integrated with the bathing platform. The crew area layout has also been redesigned, so that now it has direct access to the engine room. 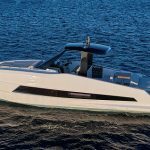 The 66 Flybride 2019 edition is the first unit powered by POD’s system with the new Volvo Penta IPS1350 engines that also includes Dynamic Positioning System and automatic interceptors. As a luxury day cruiser this model with 20,13 m in length is distinguished by its unmistakable and unique lines, especially those of the flybridge and hard top, which stand out as much as the side windows, perfect for enjoying maximum views of the sea. The sideways are designed with a single step at the end of the first third, another feature of this model which allows the configuration of a flybridge with a maximum beam solarium. The spacious aft area adds, on the main deck, to a saloon, dining area, kitchen, and navigation area at the same level, without steps. On the lower deck, we find the Master suite cabin at the maximum beam with a total surface area of 18 m2, and ensuite bathroom. Two double cabins with a full bathroom and, in the bow triangle, the fourth cabin with a central double bed. This guest area includes two large full bathrooms. 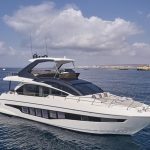 After its debut at the last edition of the Yachting Festival Cannes, its exhibition at the Barcelona Boat Show in October and, recently, its launch for the US market at the Miami Yacht Show, the 377 Coupé continues to be successful among lovers love sports cruising who are looking for both comfort and safety on board. 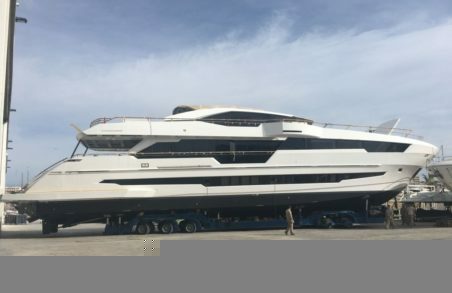 With the Astondoa dealer for the 377 Coupé in Spain, Metropol Náuticas, this yacht comes to Palma International Boat Show now. 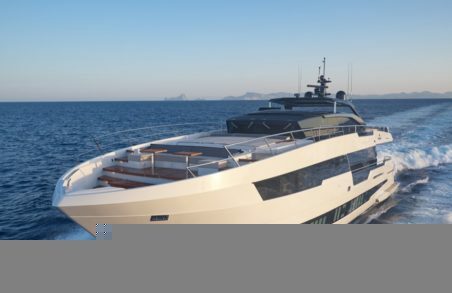 In accordance with the philosophy and commitment of the Shipyard to the marine environment, Astondoa’design department has created the “Savage Ocean range” as a basis for every model of coupe range. The reference that they have chosen for this range is the great blue whale. These majestic mammals master the oceans with their 30 meters in lenght and their up to 180 tons of weight. Their long and stylized body allows them to move quickly reaching speeds up to 17 knots. 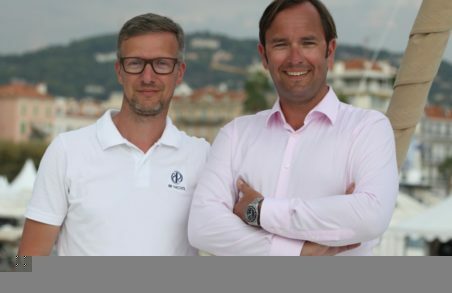 Following the layout of its silhouette they has created a modern, powerful and innovative boat. His versatile cockpit includes two areas: a convertible dining room in a solarium and an expandable solarium over useful and wide garage for “water-toys” and access to the engines room. Two wide sideways from the stern in teak finishes allow access to the bow, where the manoeuvring area is located, hidden under a small seat. Access to the cabins is at the mid-size boat aside the helm station center console, three pilot seats, the kitchen cabinet, with sink, grill, fridge and stowage, protected by the windshield and T-top. The interior layout hides two amazing cabins, a VIP at the bow and aft guest cabin with two beds of 85cm, ideal for rest and multiple stowage areas.